Whether you’re looking for something to pamper your pet, find a local vet, breeder or training class, this specialist pet directory has it all. We list pet businesses selling hamsters to horses, pet artists who can sketch or paint your favourite pet or even pet photographers who are expert at capturing a special pet pose or moment. Other categories include pet grooming parlours for the perfect pet make-over, and pet boarding establishments who can offer care and attention to your pet whilst you go away. If you’re moving house or even abroad, our pet transport firms can handle the pet move for you with the minimum of stress or fuss. If you need training or behaviour classes for a wayward animal, you can find them here. Sadly, you may need the services of a specialist pet cremation or funeral company, and firms around the UK can help with arrangements. We’re constantly growing our database of pet businesses including details of pet insurance companies, alternative pet therapy firms and pet societies that support specific breeds. Please bookmark this page and keep checking back for the latest information. Complementary therapies available to humans are also offered as alternative treatments for use with animals. Many pet owners are contacting a professional pet artist or photographer for a quality picture or painting of their pet. Whether you want a large parrot or the tiniest budgerigar, there’s going to be a bird shop or dealer somewhere near you. Pet owners who want to buy a new puppy, kitten, budgie or pony, a recognised pet breeder is the place to go. 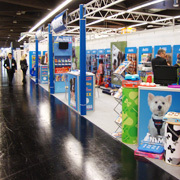 Many specialist pet shops devoted almost entirely to supplying cat products are located all over the UK. There's a great choice of traditional and online pet shops specifically selling dog related merchandise. Traditional and online equine shops sell everything a horse owner needs to keep their animal well fed and in the best condition. There are numerous aquatic shops that specialise in certain types of fish. Find some of them here. Many dog and cat owners are realising the benefits of regular treatments for their favourite pooch or kitty. Insuring a much loved pet is a high priority for many animal lovers, with a wide choice of policies available. A visit to the vet will be an inevitable part of animal welfare, pet medications are also available from a number of other online sources and outlets. Check them out here. If anyone wants to share their pet experiences with the rest of the world, a pet blog is a great way to start. Pet boarding places situated all over the country take the greatest care of any pet in the owners absence. Like humans, pets can be buried or cremated in specially built crematoriums that are situated all over the UK. More and more establishments are making positive efforts to encourage pet owners to stay with their favourite animal. The law regarding animals is a complex one that can only be satisfactorily handled by an expert in that area. Whilst the RSPCA rightly grabs many of the headlines, there are thousands of other organisations that can help with injured or homeless pets. Most traditional and online pet shops offer their customers a selection of toys for cats and dogs, and some businesses even focus completely on selling pet playthings. Pet sitters and dog walkers are kept busy all year round with many different tasks and desires from pet owners. With so many pigeons kept in relative captivity, there’s a huge market in supplying cages, food, bedding, drinkers, feeders and dozens of other accessories. Specialist poultry food includes different mixes of mash, grit, crumb and corn, some supplied in uniform sized pellets. If snakes aren’t your thing, how about a lizard, tortoise or amphibian? These shops sell plenty of different kinds. Bunny rabbits, hamsters, gerbils and guinea pigs are just some of the small furries sold by these specialist pet shops. Animal societies and clubs are excellent at providing their members with up to date and relevant information. Pet training classes are high on most pet owner’s lists when they take possession of their new pet animal. A large numbers of pet transport courier companies are based all around the UK to take care of your animal. There are thousands of vets practices situated all over the country that can take care of all pets illnesses. Pet wholesalers play a very important part in the running of the UK’s independent pet shops and pet businesses by offering a great choice in small quantities.